Guys from Latvia ProTuning made the special request for me in 2017 – the carbon fiber tank cover out of multiple carbon layers. Just pure carbon, no fiberglass underneath or etc. 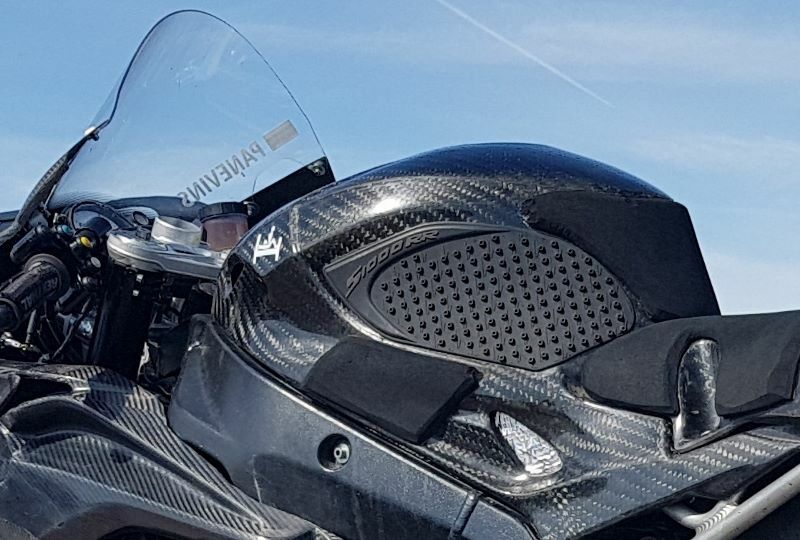 Not everyone like it, as it feels a bit stiffer and bulky than other carbon fiber products on market, but I really don’t care as long as it saves 600-800 USD aluminum gas tank from damage. This dent seen on the tank I got after hard 200Km/h crash in Lithuania in July 2018 (https://www.facebook.com/667086386783902/posts/1095930993899437/). 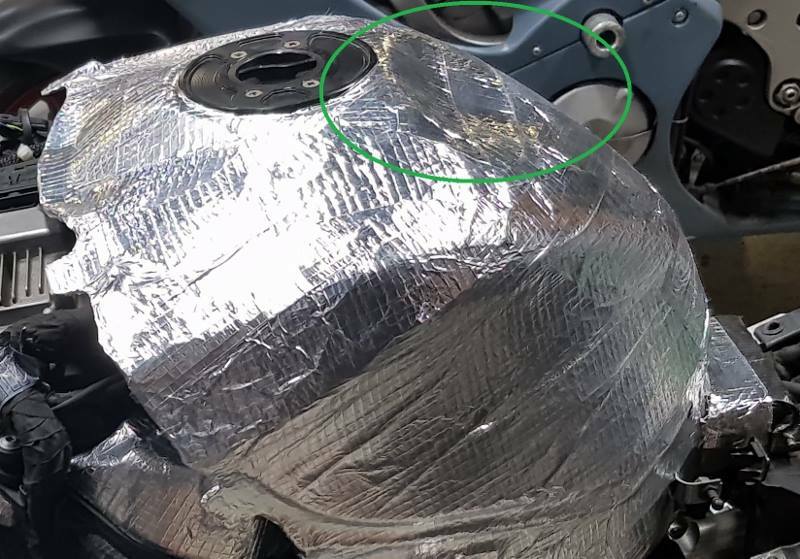 Surprisingly, the tank cover even didn’t crack, but damped the energy from crash and saved the tank from further damage. The cover survived 5 crashes in total since 2017, and the only damage is cosmetic gravel marks. Imagine, what the tank would look like if it was just regular fiberglass cover, or, even, no cover at all? Feel free to contact ProTuning.lv team to get your carbon fiber stuff.